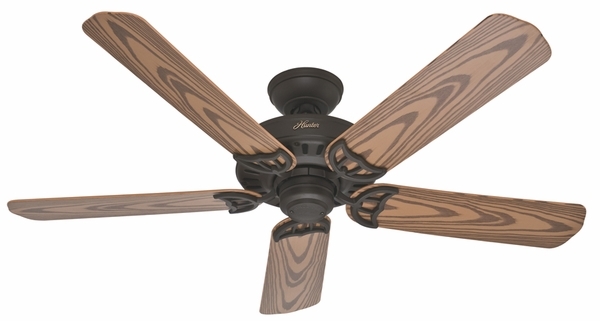 Hunter 53126 Bridgeport Ceiling Fan with Blades - 52"
Home > Home Improvement > Fans > All Ceiling Fans > Hunter 53126 Bridgeport Ceiling Fan with Blades - 52"
The Bridgeport 52 inch Ceiling Fan with Fan Blades from Hunter delivers a rustic appeal at a remarkably low price. 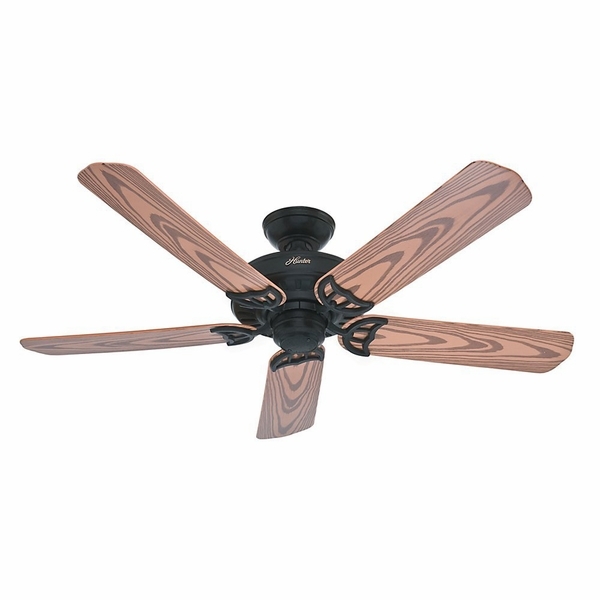 The Bridgeport Ceiling Fan is available in textured black, white, and new bronze finishes, and is ETL listed for outdoor use as well as use indoors. 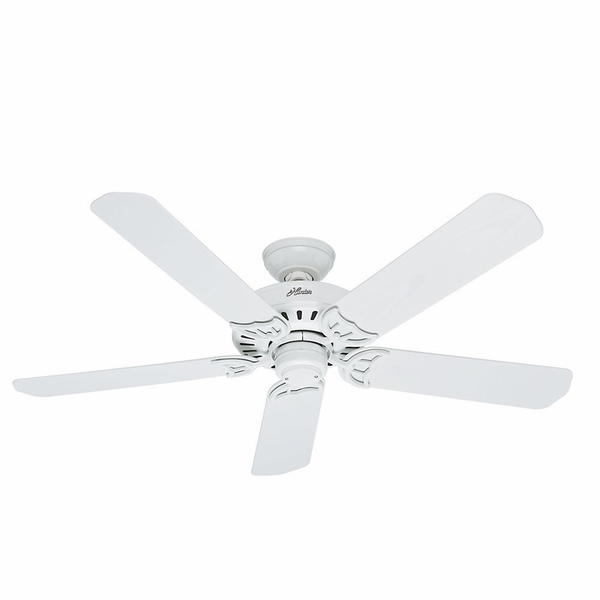 This ceiling fan includes the WhisperWind motor, which provides a large amount of power without a large amount of noise. The Bridgeport Ceiling Fan can be used in rooms up to 485 sq. ft. in size, and is Energy Star certified to ensure premium energy efficiency. The fan blades are a set of five weatherproof plastic Oak blades made to resist bad weather as well as dust build-up. Do these Hunter fans come with different sized down-rods? The down rod information is listed under the accessory tab for the Hunter 53126 Bridgeport Ceiling Fan with Blades - 52"
We are looking for 5 outdoor hunter fans with light kits. Which model would you suggest? For an outdoor fan with a light kit, we would suggest the Hunter 53122 Beachcomber Ceiling Fan with Blades and Light Kit - 52".